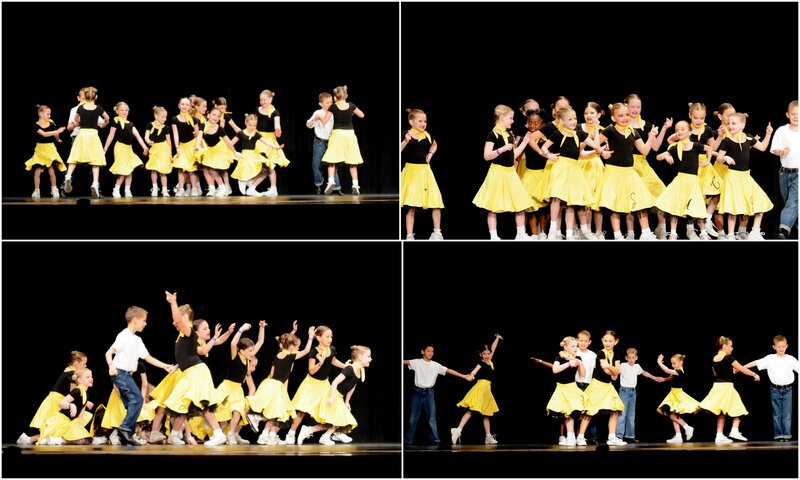 We went to St George to spend the weekend doing a dance competition and grandparent time. I was really proud of how well the girls did. They are having so much fun and have really grown a lot since their last dance competition. I felt really badly for Jade's first number- which is her hip-hop number. They were the first dance of the day and the sound equipment was an absolute mess. The girls came out in the wrong order and then the music started before they were in their places and it was turned down so low they couldn't hear it until the 4th measure, but even then it wasn't very loud. So they were really confused until they got to the point in the dance where they were able to run to get in their correct spots. Once they were there, they did awesome. I really think they should have let them do it again. It was so obvious that the sound system was what threw them. And, come on, they are 7 years old. Not exactly seasoned professionals. Due to the technical and spacial difficulties, they took last place. Next was their ballroom number. The kids all did a really great job and had big smiles. They took first place. Next up was their first jazz number. "We Rock the Boat" looked really awesome- I thought. But, what do I know? I didn't really do the competition circuit and I have no idea what they are judging on. They took 4th and I really don't understand why. 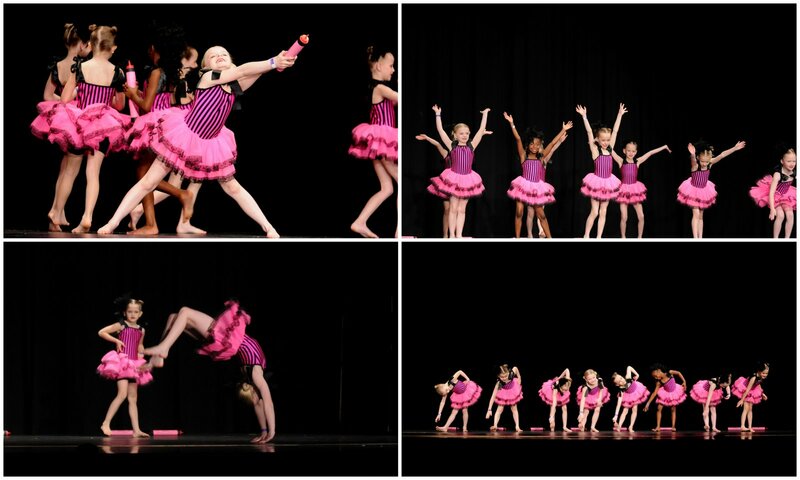 Jade finished her morning of competition with "Pinkatastic" and they were so right on. Everything looked super clean and sharp. So much so, they took first in their category and second for high score. I love that Jade is having so much fun with dance. 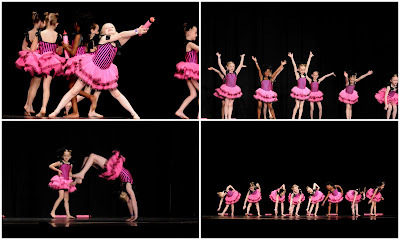 Although it really stresses me out that she loves dance and gymnastics so much. At some point they are bound to conflict. I'm dreading that day! So, until then, I'll just enjoy her excitement and energy.